Foul play or terrorism? Stakes skyrocket in Moscow-Kiev conflict after 295 people die in apparent terror attack. A Malaysia Airlines jet crashed near the Russia-Ukraine on Thursday, killing 295 people on board - and sparking questions about the role of the ongoing civil war between the Ukrainian army and pro-Russian militants in the crash. 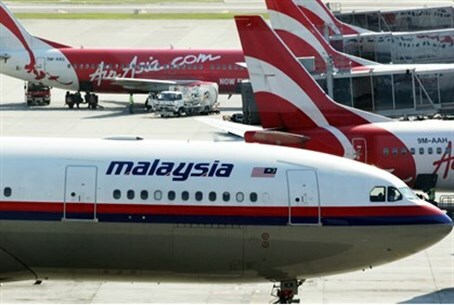 Both the Russian and Ukrainian government denied being involved in the crash of the Boeing-777, bound to Kuala Lumpur from Amsterdam, each accusing the other of implicit involvement in the mysterious crash. The Ukrainian government accused pro-Russian "terrorists" of shooting down the plane with Soviet-era ground-to-air missiles shortly after the crash, after the self-declared Donetsk People's Republic shot down at least three small Ukrainian transport planes over the past several days. According to Malaysia Airlines, air traffic controllers lost contact with flight MH-17 at approximately 2:15 p.m. GMT, as it flew over the Russian-Ukrainian border with 280 passengers and 15 crew. The plane was at 33,000 feet when it was shot down, according to controllers. Parts of the plane began falling over the border town of Grabovo, locals said. "I was working in the field on my tractor when I heard the sound of a plane and then a bang," a farmer told Reuters. "Then I saw the plane hit the ground and break in two. There was thick black smoke." At least 100 bodies have been found so far, emergency workers told the news agency, and the debris field had been measured at 15 kilometers (9 miles). It should be noted that this is the second Malaysia Airlines 777 to be downed due to mysterious causes, after a near-identical plane disappeared March 8 over the Indian Ocean. Both Ukrainian President Petro Poroshenko and Interior Minister Anton Gerashchenko deemed the crash "terrorism," with Gerashchenko accusing Russian President Vladimir Putin on Facebook of providing the ground-to-air missiles suspected of downing the planes to pro-Russian terrorists in the eastern Ukrainian badlands. Rebel forces, meanwhile, have blamed the Ukrainian army for downing the plane, stating that their weapons are incapable of shooting down a plane of that size - and of an altitude nearly 10km (six miles) skyward. Russia has been accused multiple times of facilitating the armed takeover of eastern Ukraine by pro-Russian separatists, as fighting continues in a months-long civil war. The war, which began in February of 2014, has mushroomed from a domestic conflict between europhiles and euroskeptics to an all-out war over deep-seated ethnic and cultural differences. Neither Moscow nor the Ukrainian army could be reached by international media for comment. US President Barack Obama did speak to Putin about the crash, the White House revealed late Thursday, at the Kremlin's request. Readouts of the call, provided by both the White House and the Russian Foreign Ministry, reveal that 23 US citizens were on the fatal flight. The call was pre-arranged, the Kremlin said, to discuss sanctions the US and other G7 countries are readying for Moscow over the ongoing crisis in Ukraine.